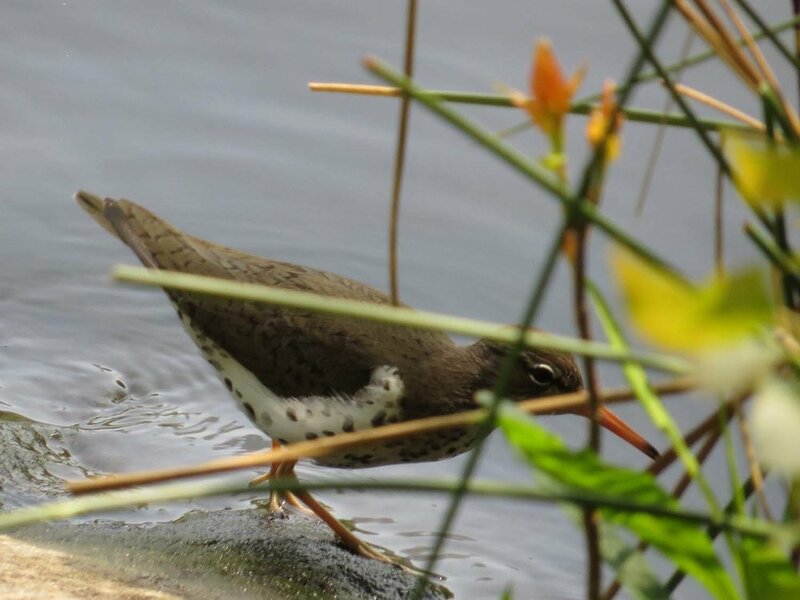 Spotted sandpipers (Actitis macularius) visit various bodies of water in Central Park during migration. The most recent visitor I saw was working the Riviera area of the Lake on May 1, 2017. 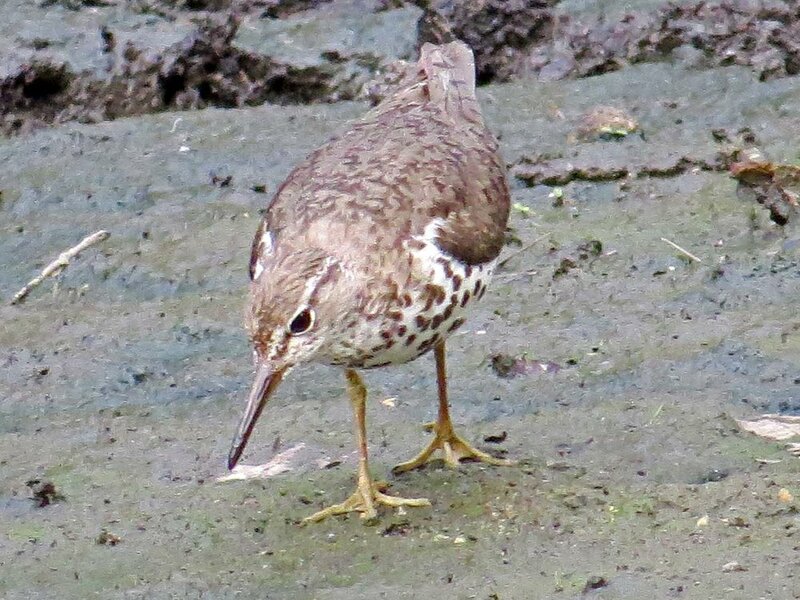 But I've seen spotted sandpipers at Turtle Pond and north of Gapstow Bridge at the Pond in other years. 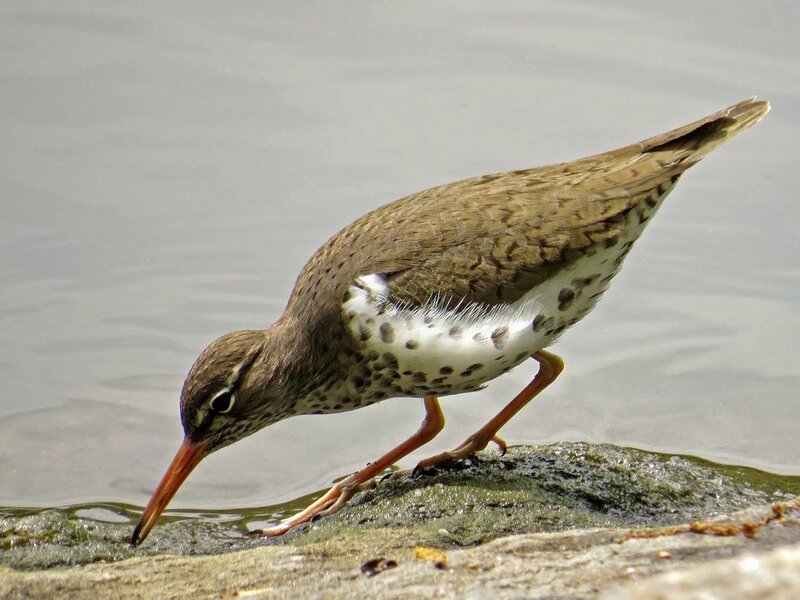 The Filming the Feathers video features the May 1 visitor, as well as visiting spotted sandpipers I saw on April 23, July 29 and 31, and Aug. 1, 2014. The music is by Louis François Philippe Drouet, Flute Trio in B-flat major, performed by Paolo Dalmoro, and obtained from MusOpen.org, a royalty-free music source. These photos are of the May 1, 2017, visitor, who flew across the Lake, then back, pecking and bobbing on the shore and on the edge of a rock in the water. These shot are from April 23 (grainy, but a documenting photo), July 29 and 31, and Aug. 1, 2014.